Instagram is experiencing enormous popularity with consumers because it makes it extremely easy to manipulate photos and post these enhanced images, as well as comment on the retouched pictures of others. This photo-centric mobile app is also a perfect fit for hospitality marketing since it allows brands to promote their properties visually and is used by numerous bloggers who often feature travel-related posts. Unfortunately, many hospitality brands aren’t taking advantage of Instagram because they’ve heard too many myths about the mobile app’s real potential. To shed light on how Instagram can help travel brands connect with more consumers, MediaPost.com shed a truthful light on the following five fallacies. 1. Believing Brands Don’t Belong – The beauty of Instagram is that its brand and personal accounts are the same, so consumers only see beautiful pictures rather than overtly branded content. This encourages consumers to engage more casually with brands on Instagram and creates strong brand advocates who frequently tag images with hashtags and @ mentions that allow others to search and follow on both Twitter and Instagram. This results in exponentially greater exposure that is deemed much more influential than typical branded content since it is driven by consumer social media sharing. To promote the various benefits of a property, hospitality brands can create their own crowd-sourced brand galleries filled with images of their properties. 2. Thinking a Brand Can’t Display Its Personality – Actually, Instagram enables hospitality marketing professionals to create and exhibit multiple elements of their property’s image by posting photos that highlight its many unique offerings. Hospitality brands have the freedom to post images of anything related to the travel experience, whether it’s traditional location photos, behind-the-scenes pictures of staff, or humorous photos of visitors enjoying themselves on the property. Instagram provides a blank canvas for hospitality marketers to convey any image or impression they desire. 3. Assuming It’s Just Another Social Site – Regardless of a travel brand’s other social media efforts, Instagram offers a unique photo-centric element to the social media mix. It can greatly enhance a hotel’s overall social media strategy because it integrates extremely well with other social platforms. Both fans and brands can post, tweet, and share Instagram images on other social media networks, which results in even more exposure and recommendations for the hospitality brand. 4. 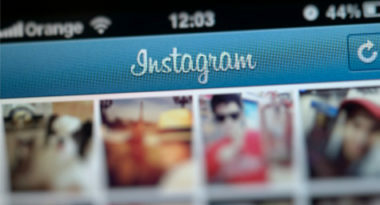 Presuming It’s Not Interactive – The truth is that Instagram is extremely interactive and allows brands to develop strong connections with consumers, as well as gain a larger group of fans and followers. Hospitality brands can promote greater interactivity by hosting consumer contests and creating engaging promotions that stimulate ongoing interaction. Instagram also provides a valuable stream of consumer-created content that can be re-purposed on a hospitality brand’s Facebook page, Twitter feed, or blog. 5. Supposing It Doesn’t Need to Be Nurtured – Just like on other social media sites, hospitality marketers must be committed to encouraging and maintaining continuous interaction on Instagram. Brands must participate in consumer conversations, as well as develop promotions to boost engagement and keep their photos continually updated to increase interest. Instagram offers a unique opportunity for hospitality marketing, allowing brands to leverage the visual appeal of their properties and offerings to a growing group of highly engaged consumers. Once they realize the reach and results possible with Instagram, hospitality marketers have every reason to jump on board. To learn more about using Instagram in your hospitality marketing strategy, contact MDG Advertising. At MDG, our 360° marketing approach uses just the right mix of traditional and online media to reach your hospitality marketing goals. While some industries may fare better in print and others online, we strive to create a balanced approach where digital and traditional advertising efforts support each other and your marketing message is tailored to the medium. To stay on top of the latest digital marketing trends that will make an impact for your brand, contact MDG Advertising.